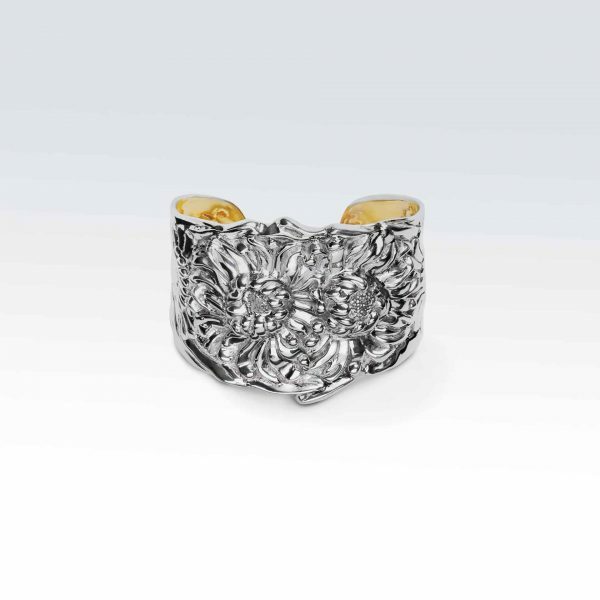 View cart “Gold Bracelet with Diamonds” has been added to your cart. 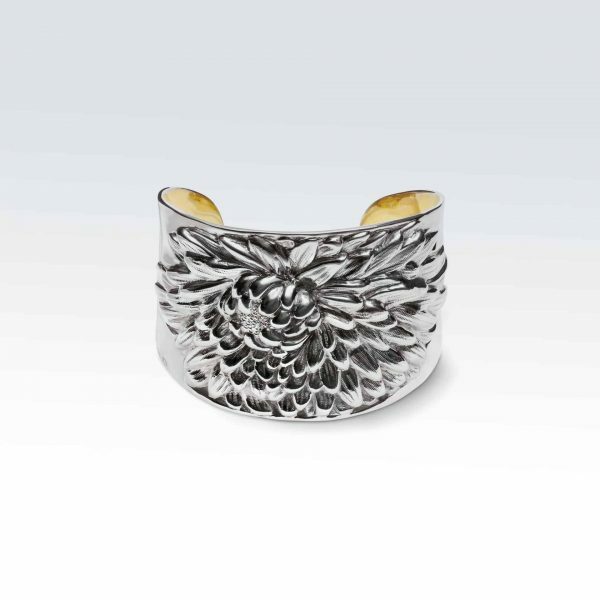 The Chrysanthemum Cuff features two young blossoms presenting themselves prettily side by side. 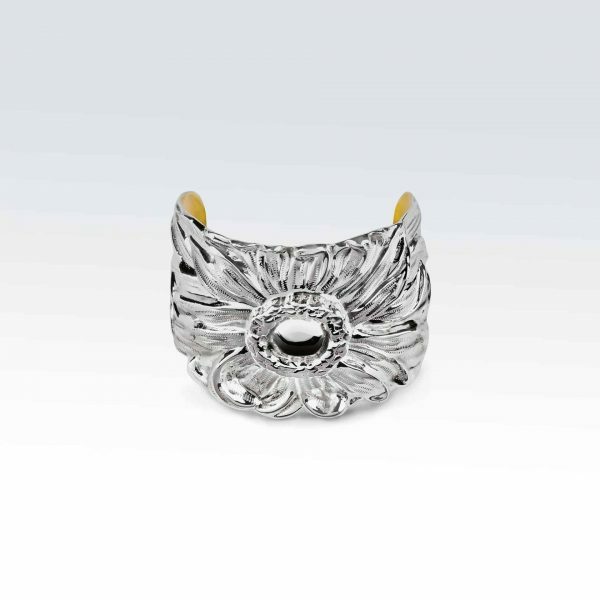 The Chrysanthemum Cuff features two young blossoms presenting themselves prettily side by side. Here the Chrysanthemums’ distinctive round shape is captured, and the bracelet’s tapered ends feature stemmed mums in profile. This charming bracelet measures 2” at its height becoming gradually slimmer toward the wrist and is 6.5” around.